While commercial roofing in Fort Worth, TX and elsewhere is meant to be enduring and provide long-term support to structures, they too can face different problems throughout the lifetime of serving you. These could either be because of the weather conditions in your area, the nature of work the building is used for, and/or natural disasters and unforeseen events like a fire. But more than all of these, roofing problems occur because of wrong selection of the roofing material, loosely installed/repaired roofs, and unsuitable designs of them. And this is something you can fully control by trusting and hiring no one but the professionals for commercial roofing in Fort Worth, TX. Nonetheless, if a problem has already occurred, how do you decide between the repair and replacing options for your building’s roof? What do you consider when making such a decision? If you too are among those remain confused between the two, you have landed on the right page. Here we will tell you how you may make a choice that is the most appropriate and what repair options are available with the suitability and benefits of each option for commercial roofing in Fort Worth, TX. Think of when was the building built and if the roof is as old and ponder over when was the last time you scheduled an inspection and preventive or regular maintenance for the roof. If it has been a long time and the roof has aged too, there is no question you need to consider replacement. 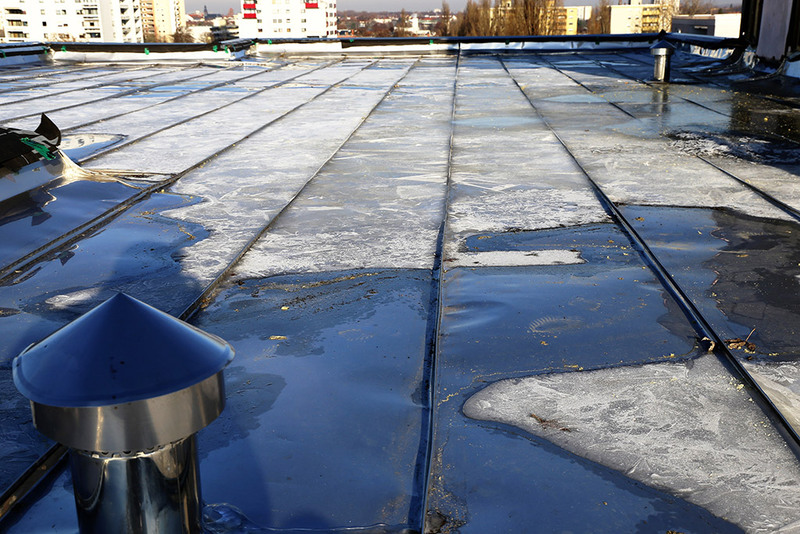 Nonetheless, if the roof is still in a good shape and the insulation is intact, you can go ahead and hire the professionals for commercial roofing in Fort Worth, TX to introduce appropriate repairs. If the professionals still feel like there is a need for replacement based on what the find under the covers during the inspection, you should trust them and adjust the decision accordingly. There can be situations where certain options, like applying a coating or introducing minor/major repairs, can actually make your roof good enough and increase its lifespan. This will not only give you peace of mind but will also allow for additional time to adjust your budget and save up for future replacement. The professional you hire will inspect the roof thoroughly and determine is the condition of the roof is fine to only have basic fixes introduced. If it is so, he will recommend what types of repairs will be needed and give you an estimate accordingly along with a set of guidelines and limitations if there are any. But if the experts find out underlying flaws that may be dangerous and can’t be fixed at any rate, they will suggest roof replacement to help you keep yourself form throwing your hard-earned money into good-for-nothing repairs because the roof will fail soon anyway and you will need a partial or full replacement. Once it is confirmed by the professionals you hire for commercial roofing in Fort Worth, TX that all you need is repairs for the roof, there is a likelihood of you being offered both short-term and long-term alternatives to choose from. While the answer to this question largely depends on your budget and financial constraints, it is best you go for options that deliver lasting results. This way you can be certain that your property, employees, and everything else are safe and not exposed to any damages or risks leading to potential losses. It is suggested you go for short-term repairs in case you are planning to sell the building in the near future. This way you will not have to bear the costs for heftily priced long-term repairs or replacement in the future. But if that’s not the case, always go for lasting repairs or replacement in needed so that you are worry free. Regardless of the option you choose, you must take into account the degree of disturbance the repairs or replacement will cause in your business operations. If there is an important project going on and you can’t afford postponing it or slowing it down midway, you have no choice but to opt for minor repairs. But in that case, you must also prepare yourself to spend on getting long-term repairs or replacement soon after. Coatings can be considered any time the professionals suggest it as the best-suited option or whenever you think of doing something about increasing the life of the commercial roofing in Fort Worth, TX. So, what do you think your commercial roofing in Fort Worth, TX needs? Are you still unsure? Fret not; the experts at Longhorn Commercial Roofing have got you fully covered. From initial inspection to decision making and the final repairs and replacement, the professionals are sure to leave you satisfied with the work they do. Connect today!